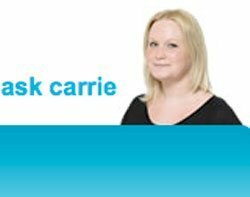 Mothers can now get fast and accurate answers to more than 500 common child-raising questions by going to Ask Carrie, a revamped Mothercare website. The revamp follows successful deployment of website development firm Transversal's interactive web self-service technology on the website of the Early Learning Centre (ELC), another part of the Mothercare group. In the two months since going live, the website has cut the number of calls and emails to Mothercare's contact centre, allowing staff to concentrate on answering more complex queries. Mothercare also serves relevant, tailored advertising and special offers in line with questions asked usingTransversal's Sales Engine software, This is leading to greater customer engagement and potential sales, the firm said. Early Learning Centre started using Transversal's technology on its website and in its contact centre in October 2007, Mothercare said. It has seen a 20% reduction in emails and increased efficiency as contact centre staff can access consistent, up-to-date information when dealing with customer queries, it said. The Ask Carrie persona was part of the redesign of the Mothercare website. It aimed to provide a more approachable and engaging figure for customers. It also included better online product search, a wider range of content, and bigger, brighter product images to improve the customer experience.